This Dual Output Slide Potentiometer Module has 2 identical sets of 3 pins. Wire up VCC to Power, GND to 0V and the signal pin will give you a varying voltage depending on high or low you slide it. 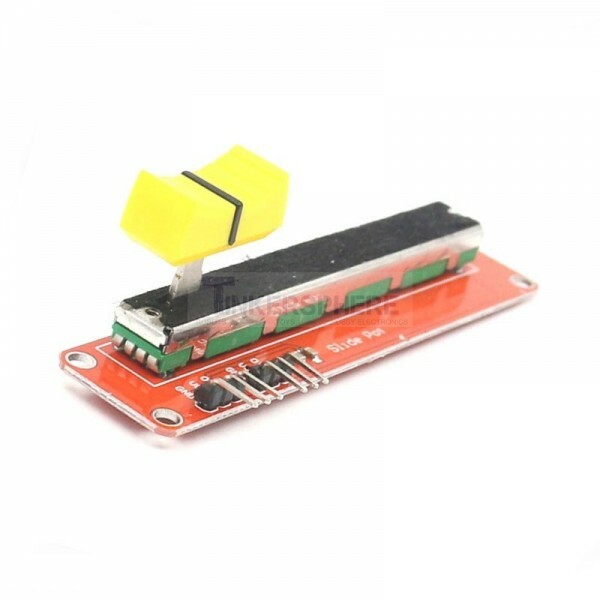 This Slide Potentiometer Module is great for controlling 2 things at once! Just 3 pinsfor each of the 2 outputs: Power, Ground and signal with easy to connect header pins.